Like most of you, I cannot get this election off of my mind. I have not been able to focus and write these blogs like I usually do without glancing at my social media every five minutes to see if some new, terrible act has been committed in his name. There is also a part of me that still wants to believe that this cannot be happening, and, despite this dread, I cannot help but know that it is insignificant compared to the legitimate fear that is felt by my black, Muslim, LGBTQIA+, immigrant, Latinx, etc. friends. This lack of focus lead me to conclude that I have to write on something related to the election, but also related to video games. Enter the troll. If you’re unfamiliar with the term, think of I-r0k from Ready, Player One. They are someone who enters the online community and intentionally stirs up trouble or negativity in a variety of ways, only to sit back and enjoy people’s reactions. They can be innocent and fun, like the infamous Ken M. of Facebook. His comments are often briliiant in their stupidity, and, admittedly, it is a little fun to see people fall for the bait and “feed” him, only leading to more laughs. However, there are certainly parts of the internet that are less friendly, and, here, there are much worse people with little regard for social customs or common decency. I would rather not include a picture of some of those comments, as they are incredibly hate-filled, ignorant, and generally unfunny. These sorts of trolls either believe in the validity of their racist, homophobic, misogyny, etc., or do not care enough about these issues to see the impact of their words. Given this election, I expect that the online community is in for an increase in the number of these sorts of trolls. How do we respond? Do we “feed” the troll and oppose their hateful words? As someone of privilege, I see that words have power, and this is the response that I want to take, but online arguments are extremely unproductive. I’m still very much confused, and there are much larger issues ahead as well. Would love to hear y’alls thoughts. I usually have a short attention span with games. Unless something really snags my attention early on, I leave it after a few hours of playing. Because of that, console or computer games can be a big commitment for me. I do my research, I watch game play videos, I read reviews, all to make sure that I wont be sinking $30-$60 on a product that I’m going to put down a few days after buying it. the hectic schedule of college doesn’t make this process easier, but it’s my tried and true way of finding games that I enjoy. Enter my issue with mobile gaming. I loved it when it started. I could drop a small fee of often $.99 or a bit more and have access to some classic concepts and games like Angry Birds or a pocket-sized Civilization game. It was easy to get a quick gaming fix between classes or while “on the go.” I also didn’t feel such a threat of not falling in love with a game either, as the costs are so small that it really doesn’t matter, and it’s pretty easy for me to rationalize spending a buck on even five hours of entertainment. This all changed with the invention of “free” games like Clash of Clans, Mobile Strike, and Game of War that seem to dominate in grossed money and advertisements. I got in to some of these games pretty enthusiastically. It didn’t cost anything to try, and I loved some of the strategic concepts and settings of the games. I mean just look at this ridiculous commercial for Game of War. The budget for something like this from a mobile game is absurd. All these games have the same problems though. They’re just barely fun enough to keep people interested, and they all involve waiting as the main way of playing the game. Upgrading buildings and units eventually takes weeks! However, players can pay real money in order to speed up this process, often separating the players in to two groups: one’s who don’t care enough to pay, and those who do. What’s even more troubling is that they seem to play in to people’s addictive personalities. Playing these games feels like a trip to a slot machine in some ways, with the frequent level ups, random rewards, and “check-ins” that reward you simply for playing the game repetitively. I’m pretty good about not falling for these tricks, despite my personality type very much being the one that these sorts of games are meant to entice. It’s really concerning to see the top grossing app list dominated by these games, because we know that many people can rationalize paying $.99….but then do it a LOT more than once. With all this money being made, I can’t really blame the developers, but couldn’t these games at least be a little more…fun? Have a little more staying power? I’ve noticed myself literally spending a few weeks on one of these games before bouncing to another setting, another iteration of the same concept. It’s frustrating. There’s still a lot of great games being made for our phones and tablets, but I wonder how much creativity and brain power is going towards perpetuating these cheap imitations that capitalize on people’s impulsive behaviors. I hesitate to say that I want a game genre to die out, but I really think a lot of the potential for mobile gaming is being wasted on some of these base attempts to recreate an online gambling culture. What do you think about “free” mobile gaming? Please leave a comment! 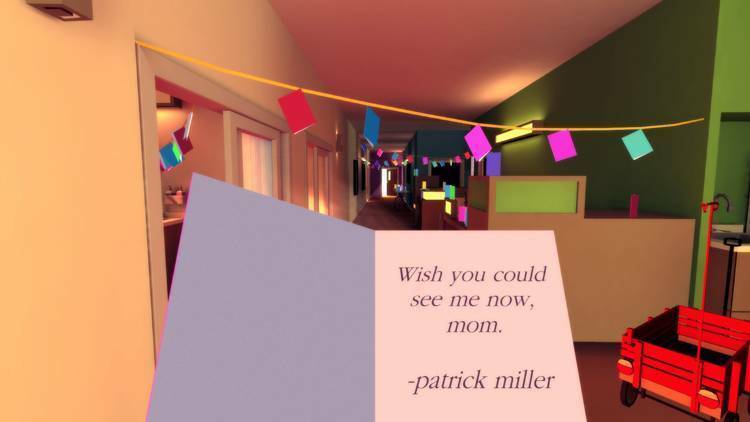 Even a quick glance at the home page for That Dragon, Cancer reveals the origins of the game. While originally a small-time endeavor, many donations through Kickstarter, a crowd funding website, allowed the game to achieve the style and recognition that we see today. It’s not surprising, then, to see the home page for the game littered with messages giving thanks to those who have donated and multiple options for more people to buy the game. There are also links to the corresponding documentary and soundtrack. All of this may seem to some like monetizing a terrible event, but I think we can view all of this as some sort of coping mechanism, and a sincere desire for parents to share their story with anyone wanting to sympathize. What I find really interesting about this entire process is what this could mean for the future of some indie game developers. 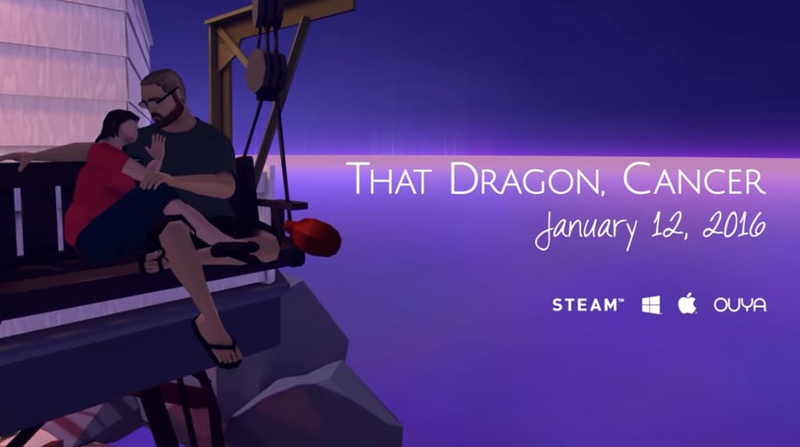 To a genre of gaming that inherently struggles more with funding than the big producers, could the sort of crowd funding exhibited by That Dragon, Cancer become a new venue for success? The critical acclaim might indicate so, but we should be mindful of some of the issues facing future games that decide to try this method, especially if they employ the same sort of gameplay as That Dragon, Cancer. In game, notes like these were created by those who donated to the game’s creation. Though the route to success for That Dragon, Cancer may not be indicative of any trend, if there are future games looking to find funding in this way, they must be mindful of legal challenges to some past crowd funded endeavors. According to Kickstarter’s Wikipedia page, some of their recently funded projects have run in to issues over copyright, fake contributors, and even rights to certain aspects of the product once it has been funded. That Dragon, Cancer, also allows for people to experience much of the game without actually buying it. The game’s page mentions that there are several “Let’s Play” videos for the game that allow viewers to watch someone else play the game and experience much of the action themselves. This particular game suffers more from this aspect than most, I think, since the actual action of playing the game is rather barren, and someone could get a lot of the narrative and metaphorical impact simply from watching someone else. Future producers will have to make some sort of choice in this matter, knowing that some will donate to their cause, but others may find alternative routes to experience the game play. What do you all think? Will we see more games attempt funding through Kickstarter or other sites? What sort of issues might arise? Video games and poetry – are they really all that much different? As dorky as it is, I’ve got to say that I probably get excited when our class is assigned a poem more than any of the other forms of media we have been studying this semester. While we can a gather a ton of insights from any of the works we have looked at so far, picking them apart and analyzing them into the ground, I have always felt like poetry has been the classic and most clear-cut example of how the artist (and yes, I am including game designers in this category as well) uses form to reflect, enhance, or even alter the work’s meaning and content. At the same time, however, we can use this way of looking at poetry’s usage of form and content to think about movies, games, and of course novels to bring out even deeper insights that we might otherwise pass over when thinking about their content alone. One of the core foci of our course is to look at how different media operate to present their content. Going a bit deeper, even, we can look at the various tools each medium has at its disposal in order to achieve the most effective presentation of its content (or narrative, in the case of most of what we’ve been studying). While I could write a whole paper about how this applies to each of the different works, I’d like to mainly draw parallels between how poems–at their most basic level–and games try to synergize form and content. In the poem we read most recently, John Keats’ La Belle Dame sans Merci: A Ballad, we see Keats employ a variety of poetic devices to match the ideas of a sort of grim fading away to his eminent death. He uses a very short line length, expertly placed line breaks, and even small devices like the em dash to convey the kind of rushed fading that the knight (as well as Keats in real life) is experiencing. On the other hand, video games contain multitudes of devices like this as well, though most of us likely are not accustomed to looking at them through this lens (I know I sure wasn’t when I began the course). But after thinking about them more critically, paying attention to how games operate and try to advance their content, it becomes apparent that nearly every feature of a game works in some way to achieve something (whether or not each feature is effective is, of course, up for debate and why we have game reviewers). Like we discussed in class, everything from camera angle to the presence of a narrator is an inherent part of the game that serves to present its content in some way or another. Tom Bissell discussed this in Extra Lives with his experience playing Resident Evil, maintaining that the perspectives presented in the gameplay played a huge part what made the game so terrifying, along with every other aspect it used to build its scary atmosphere. Ultimately, what I’m trying to say is that there is an endless amount of crossover and parallel between any of the various media we have studied – not just in their usage of narrative, but also in the way we are able to think about each medium and how it operates to present its content. The effectiveness in doing so, however, will remain for us to decide. Author logangamingPosted on September 27, 2013 September 27, 2013 Categories Class Related, GamingTags extra lives, john keats, literature, media, media studies, poetry, tom bissell, Video Games1 Comment on Video games and poetry – are they really all that much different?